This is a super-easy idea that I pinched from my Mum. Sadly the kids don’t enjoy it much but Peter and I have loved it … and its left overs for multiple days afterwards! 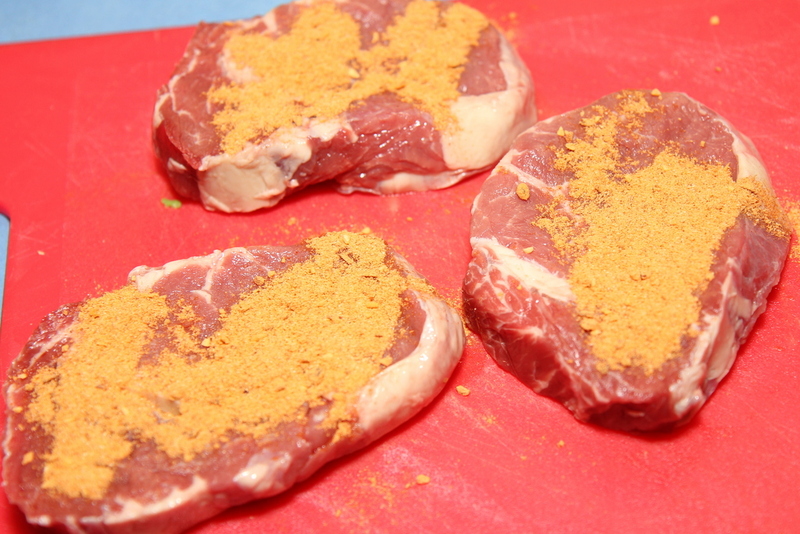 Rub the seasoning into the steak on both sides, then either bbq or pan fry to your taste. While the steak is cooking, mix together all the salad ingredients. 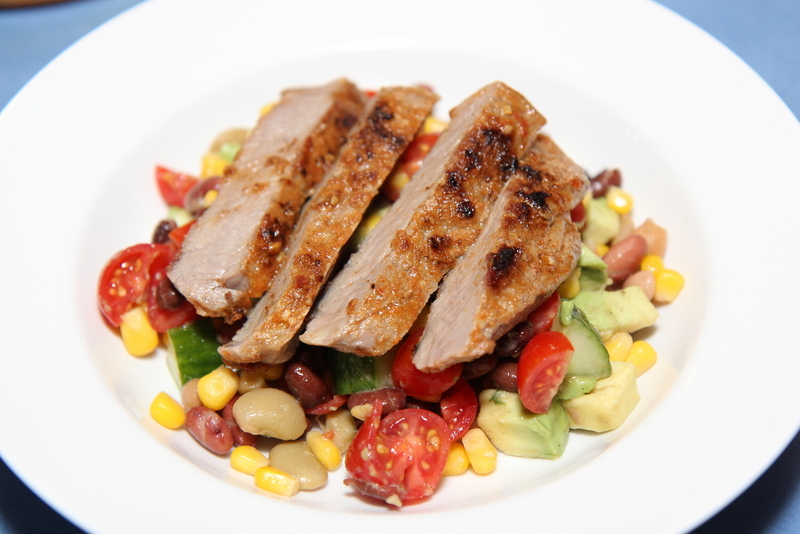 Allow the steak rest for a few minutes before carving in to strips and serving on top of the salad. This quantity of salad was enough for about 4 adult serves. Such a quick and fresh summer meal. Enjoy! Lovely salad with that steak!